Ok, perhaps a drum roll isn’t appropriate for this kind of news – but if you own a Holden Commodore, Toyota Camry or a Nissan Skyline, you may be dismayed to know that all of these car makes topped the list of the most stolen car models in Australia for 2010/2011, according to the National Motor Vehicle Theft Reduction Council. The Australian Institute of Criminology reports that Australia has one of the highest rates of motor vehicle theft in the world. A whopping 82,900 motor vehicles were stolen all around Australia between 2009 and 2010, and while this figure dropped slightly in 2011, the numbers are still high enough that all car owners should be wary and vigilant when it comes to the safety and security of their vehicle. Vehicle theft costs the community an estimated $1 billion each year, so there’s still a long way to go. The government is constantly working to reduce Australia’s vehicle theft rate, but it’s an ongoing process. Luckily, there are plenty of things you can do for yourself to help keep your pride and joy safe from vehicle theft. Be careful of where you park – It seems like an obvious one, but pay attention to where you park your vehicle. During the day, try to leave your car in busy areas where there are plenty of pedestrians around. At night, try to find well-lit, high traffic areas to leave your car, as thieves are less likely to strike in an area where there may be potential witnesses. Even when it’s hard to find a parking spot, it may be worth driving around for those few extra minutes if it means your car will be safer. Use immobilisers and security systems – Sure, they’re not so trendy, but things like steering wheel locks and car wheel immobilisers can really help provide that extra layer of security for your vehicle. Many new cars (and some newer versions of used cars) come with security systems or alarms built-in, and you can often upgrade to an even higher-tech system for a little extra money. Report any suspicious activity – If you’re in a parking lot one day or night and happen to see someone suspicious peering into vehicle windows or testing car doors to see if they are open, report it to security immediately, or call the local police on a non-emergency number (just make sure the poor person isn’t actually someone who’s just locked their own keys in their car!) If we all work together to keep an eye out for thieves, we help make the community safer as a whole. Never leave your car running, or unlocked – This applies for all those moments when you tell yourself you’ll only be running out for a minute. Opportunistic thieves are responsible for three out of every four cars stolen, so don’t give potential thieves a chance, even for a second. Hide your valuables – It’s actually ideal not to leave valuables in your car at all, but if you have to, make sure it’s only for a very short amount of time, and that they’re out of sight. If anything, it will save you the hassle of having to worry about car insurance claims over a smashed window. 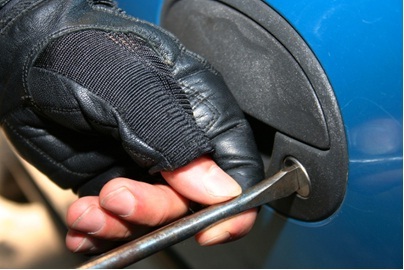 What are your top tips for keeping your car safe from thieves? Contact us regarding our great range of new and used cars today.